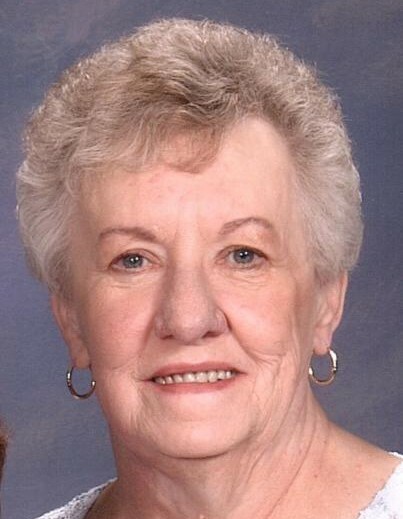 Obituary for Mary H. Sallade | Hile-Best Funeral Home, Inc.
Mary H. Sallade, 76, of Oil City, died at UPMC Northwest in Seneca on Sunday afternoon, October 7, 2018, following a valiant battle with congestive heart failure. She was born June 7, 1942 in Oil City to the late Eugene G. and Nellie Mae (Bender) Poorman. She was a member of the Cornerstone Bible Church in Oil City where she formerly served as treasurer. Mary enjoyed reading, doing word-search puzzles, and crocheting. Mrs. Sallade worked for many years at Jamesway in Reno, as the department head of women's clothing. She was married in Oil City on September 9, 1960 to David L. Sallade, and he preceded her in death. Surviving is a daughter, Julia R. Sallade of Oil City; a sister, Elizabeth "Betty" Poorman Lynn of Butler; a sister-in-law, Dorothy Kerr of Oil City; and numerous nieces and nephews. In addition to her parents and husband, she was preceded in death by an infant daughter, Cindy Lee Sallade; and two brothers, William and Richard Poorman. Friends and family will be received in the Cornerstone Bible Church, 407 West First Street in Oil City on Sunday (Oct. 14th) from 2 - 3 p.m., where a memorial service to celebrate Mary's life will follow Sunday at 3 p.m., with Pastor Tim Tygert, officiating. Private interment will be in Grove Hill Cemetery in Oil City, at the convenience of the family. In lieu of flowers, memorial contributions may be made to the Cornerstone Bible Church, 407 West First St., Oil City, PA 16301; the Venango Co. Humane Society, 286 S. Main St., Seneca, PA 16346; or to the Venango Visiting Nurses Foundation (V.N.A. ), 491 Allegheny Blvd., Franklin, PA 16323.